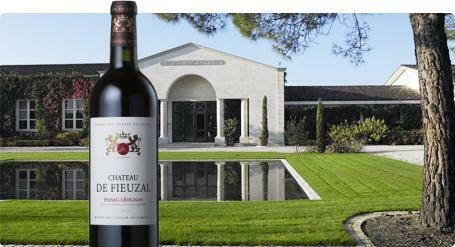 The origins of Château de Fieuzal date back as far as the rst stirrings of winemaking in Bordeaux's Graves region, named for its thin, gravel-studded soil. The estate, which is in the Pessac-Léognan appellation of Graves, sits on one of the best gently sloping, gravel- outcrops in the area – long admired for its excellent drainage and heat di using properties. Both Graves and Fieuzal are reputed to produce some of the best white wines in Bordeaux, but Fieuzal's reds are equally good. In 1959 they were awarded the o cial status of Graves Grands Cru Classé wines. Fieuzal is named after the family who owned the property up to 1851, while the original 16th century name of the estate was Gardères. After the Fieuzal family sold the estate, it was split in two and the halves were named Château de Fieuzal and Château Haut-Gardère. It wasn't until 1995 that the two estates were nally reunited to form the current Fieuzal vineyards, which now cover some 75 hectares, 10 of which are used to grow white wine grapes. In 2001 Irish wine lovers, Brenda and Lochlann Quinn, bought Fieuzal. eir goal is to carefully tread the ever-evolving line between continuous technical improvements in winemaking and vine growing, and, maintaining the essential Graves nature of Fieuzal's wines. Investments in the vineyards and winery have considerably raised the standard of Fieuzal's wines. Wine Spectator 90"Slightly rugged in feel, with pebbly, briary hints along the edges and a core of dark plum skin, steeped currant and tobacco leaf notes. The grippy finish lets the plum skin element take the lead. Best from 2016 through 2021. 6,665 cases made." ~J.M.